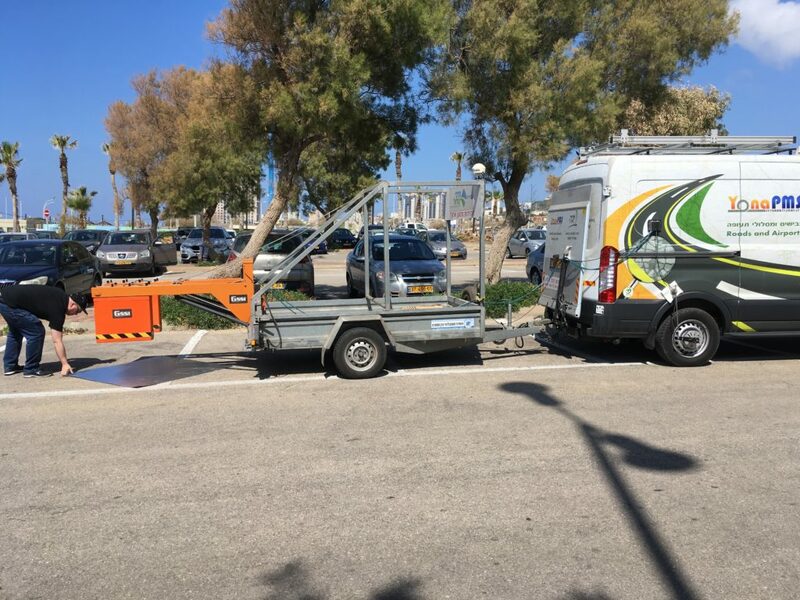 Infrasense Performs GPR Analysis on 7000 Kilometers of Pavement in Israel - Infrasense Inc. In Spring 2018, Infrasense founder Ken Maser traveled to northern Israel to train a local team on how to collect Ground Penetrating Radar (GPR) data for a network-level pavement survey. For the next seven months, the team collected 7000 km of pavement in 2240 management units. The data was continuously uploaded to Infrasense for quality control and analysis. As part of the quality control responsibility, Infrasense ensured that all road sections in the PMS database were adequately covered. This was done using ArcGIS and GPS coordinates integrated with the GPR data during data collection. The layer thickness analysis was carried out by Infrasense, and results were transferred back to Israel. GPR thickness values were refined by ground truth data. GPR correlation to the core asphalt thickness was very good, with an average difference within 6.5%.